Campaign: PG&E runs an extensive public service program throughout their service area to educate children. The program runs the entire school year. Company spokespeople inform the children about safety around electric power lines and household appliances. Other topics include how to save energy around the home. 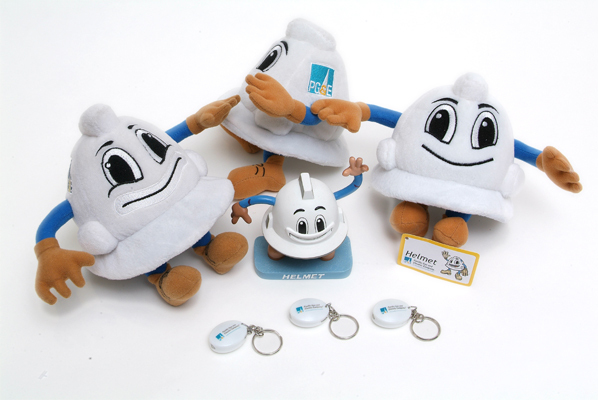 Objective: PG&E's safety and efficiency campaign reduces childhood accidents. The company counts on children influencing their adult caretakers to conserve and use energy wisely. PG&E rewards the children for participation and attendance with a stuffed animal that looks like the same character that is on the utility website. Campaign: Create a recognition gift for Schoolteachers' Appreciation Day. The School District wanted a logo product that reinforces the district's commitment to education and to the teaching staff. Objective: School district staff wants to acknowledge the dedication and efforts of teachers. District logo round tin with 25 custom paper clips is given to acknowledge the work and dedication of the teaching staff. 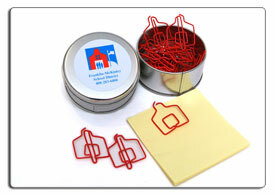 The paper clip is customer designed — a school house. The size is 1 x 1 x .125. The award price is minimal — but the effort the teachers make 24/7 is monumental. 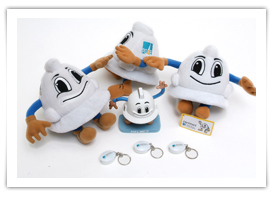 Campaign: Limited Edition Antenna Toppers to celebrate the Company's 75th Anniversary Promotion. Objective: OSH wanted to enhance a print freestanding insert with a store fulfilled incentive item. They wanted a limited edition antenna topper to celebrate the company's 75th anniversary promotion. 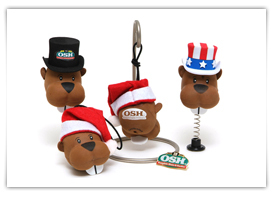 The first 500 customers at each of the 86 locations received the antenna topper. The company's animal logo was incorporated into the design. © 2019 The Concept Genie. All Rights Reserved | Site administered by Bravo IT Consulting.